While a breakfast menu from North India will most likely comprise of stuffed breads glazed in butter, which are served alongside churned milk, the South Indian variety is lighter on the oil and thus more healthy for busy, modern lifestyles. 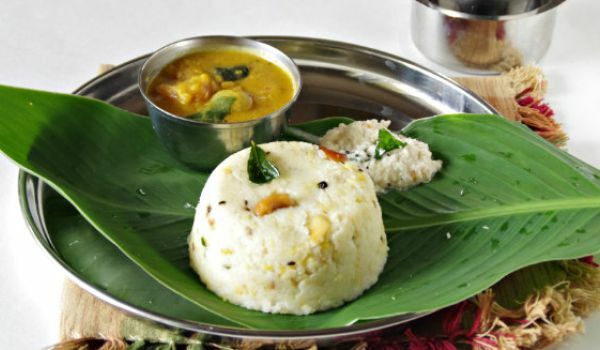 Here are five popular breakfast options, which are actually available pan India and throughout the day at most restaurants serving south Indian food. Recipe- Thoroughly wash rice and then soak them in water for three-six hours. Drain the water and then transfer the rice into a mixer jar. Add some salt, and grind while adding water gradually. Stop when you achieve a smooth and frothy batter that is just slightly thick. Let the batter rest for half a day, in a warm place, thus allowing it to ferment. 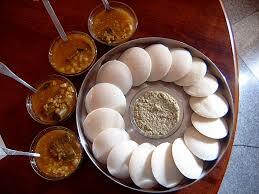 Get an idli steamer ready- boil water at its base, grease its moulds and fill them with the batter. Cook for ten minutes at a medium-high flame. Recipe- Heat semolina in a pan and dry roast on medium flame till light brown. Heat oil in another vessel and add mustard seeds. When the seeds crackle, add lentils, curry leaves, green chillies and sauté . Add onions and sauté on a medium flame. Add the roasted semolina, three cups of hot water, salt and mix well. Cover with a lid and cook on a slow flame for three to four minutes, while stirring occasionally. Squeeze in some lemon juice, add sugar and mix well. Serve hot alongside namkeen. Recipe- Put together grounded rice, salt and water. Mix well in order to avoid formation of lumps. Ensure the mixture is coarse and not mushy. Heat up a vessel with water. 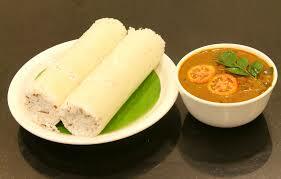 Fill cylindrical puttu moulds (called puttu kutty in Malayalam) with the mixture, and place the cylinders in the boiling water. Keep the face of the mould with the lid, upwards so that when steam passes through the lid hole, we know that the puttu is cooked and ready. Recipe- Warm100 gm ghee in a pressure cooker. Add rice and moong dal (yellow lentils), and let them cook for a few minutes. Add water and salt and . pressure cook it until three whistles. In another pan, add ghee, cashew nuts, black pepper, cumin seeds, green chilli, curry leaves and ginger, to prepare the tadka Pour the tadka over the rice and lentils, and serve with chutney and sambar. 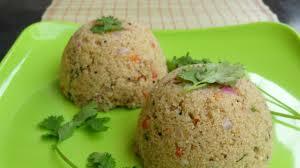 Recipe- Blend cooked rice, grated coconut and soaked rice, and keep the mixture overnight for fermenting. Add baking soda, salt, sugar and water to the paste. In a pan, smear some vegetable oil and pour a ladle of the mix and spread it out. Cover it for one-two minutes. 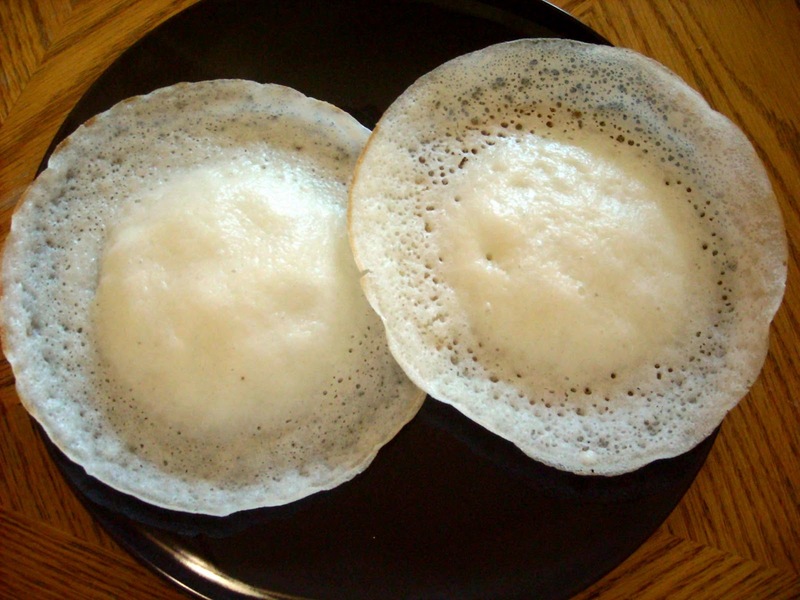 Let it cook until holes appear throughout appam and the edges become brown. A flower for food, anyone?